Ethylene glycol is a poisonous, syrupy, colorless alcohol used as antifreeze in heating and cooling systems that use water. It is also called glycol and its chemical formula: C2H6O2. 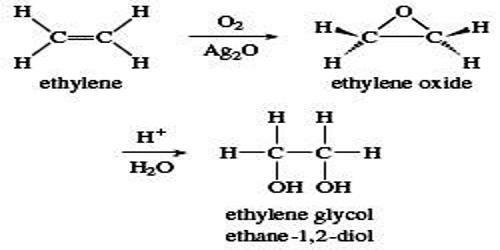 Ethylene glycol is chemically like ethanol but has two hydroxyl (OH) groups instead of one. It is a colorless, odorless, viscous dihydroxy alcohol. It has a sweet taste, but is poisonous if ingested. 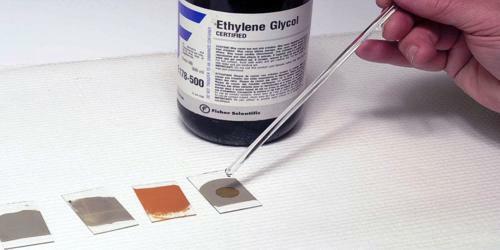 Ethylene glycol is the most important glycol commercially available and is manufactured on a large scale in the United States. It is used as an antifreeze and coolant, in hydraulic fluids, and in the manufacture of low-freezing dynamites and resins. It’s most common use is as automotive antifreeze. A 1:1 solution of ethylene glycol and water boils at 129 °C (264.2 °F) and freezes at −37 °C (−34.6 °F), serving as an excellent coolant in automotive radiators. Ethylene glycol is highly poisonous; animals or humans that drink the solution become very ill and may die. In addition to its use in antifreeze, ethylene glycol is used as an ingredient in hydraulic fluids, printing inks, and paint solvents. 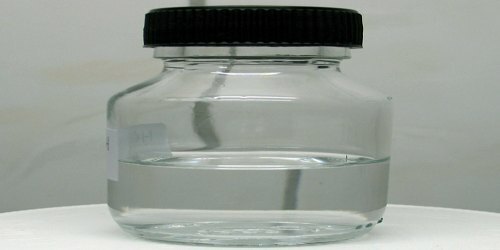 It is also used as a reagent in making polyesters, explosives, alkyd resins, and synthetic waxes. This compound is produced from the hydration of Ethylene oxide (EO) which may produce in addition to ethylene glycol diethylene glycols and triethylene glycols. Ethylene oxide is reacted with CO2, forming ethylene carbonate, which is then hydrolyzed to form MEG and CO2. Both reactions are carried out in the liquid phase using homogeneous catalysts. CO2 streams from the reaction steps are recycled to the ethylene carbonate reactor. MEG is purified in two distillation columns where water is removed, leading to the final MEG product. The catalyst is separated and recycled to the ethylene carbonate reactors. The most important variable affecting the glycols distribution is the water –to-EO ratio. In commercial plants, the production of DEG and TEG can be reduced by using large amount of excess water. However the ratio H2O: EO (20 : 1) the heavier glycols will comprise less than 10 weight percent of the total glycol produced. Ethylene glycol is produced from carbon monoxide in countries with large coal reserves and less stringent environmental regulations. Countries with large potential for synthesis gas based chemistry include China. The oxidative carbonylation of methanol to dimethyl oxalate provides a promising approach to the production of C1-based ethylene glycol. Ethylene glycol is moderately toxic, with an oral LDLo = 786 mg/kg for humans. The major danger is due to its sweet taste, which can attract children and animals. Upon ingestion, ethylene glycol is oxidized to glycolic acid, which is, in turn, oxidized to oxalic acid, which is toxic. It and its toxic byproducts first affect the central nervous system, then the heart, and finally the kidneys. Ethylene glycol has many uses, including as antifreeze in cooling and heating systems, in hydraulic brake fluids, and as a solvent. Acute (short-term) exposure of humans to ethylene glycol by ingesting large quantities causes three stages of health effects: central nervous system (CNS) depression, followed by cardiopulmonary effects, and later renal damage. The only effects noted in one study of individuals exposed to low levels of ethylene glycol by inhalation for about a month were throat and upper respiratory tract irritation. Rats and mice chronically (long-term) exposed to ethylene glycol in their diet exhibited signs of kidney toxicity and liver effects. 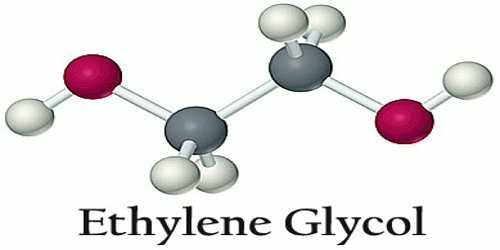 Several studies of rodents exposed orally or by inhalation showed ethylene glycol to be fetotoxic. An epidemiologic study on renal cancer mortality did not find an increased risk for workers exposed to ethylene glycol. EPA has not classified ethylene glycol for carcinogenicity.